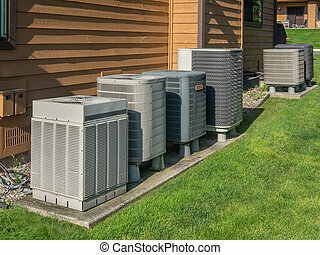 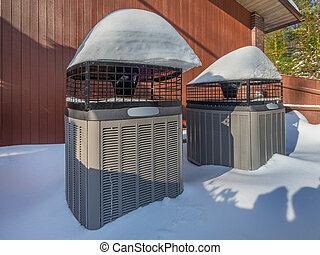 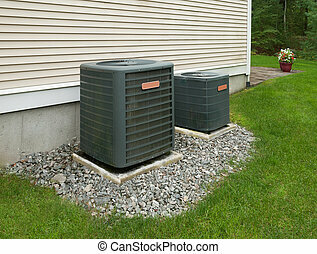 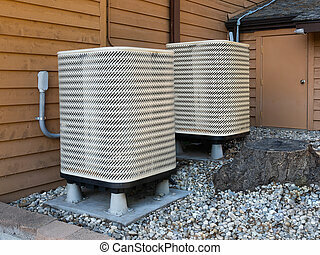 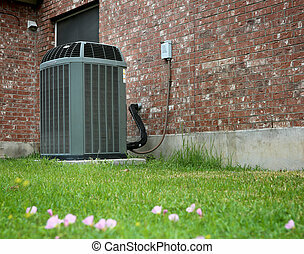 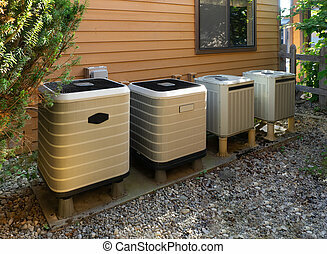 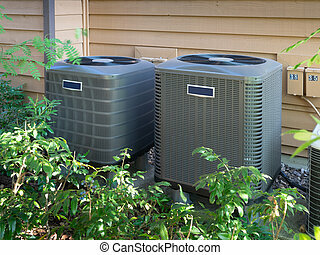 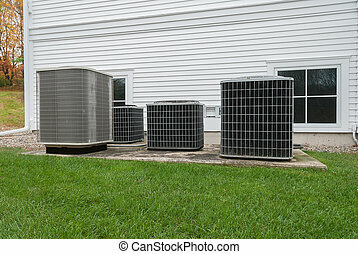 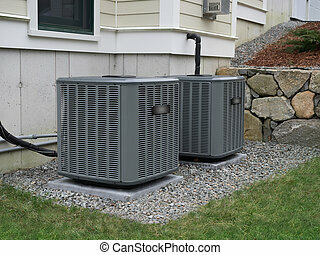 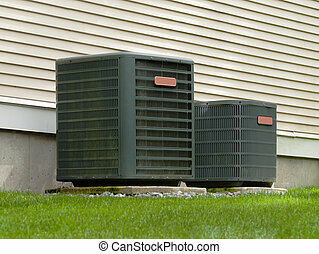 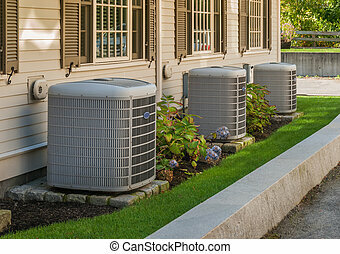 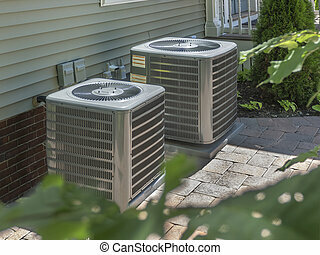 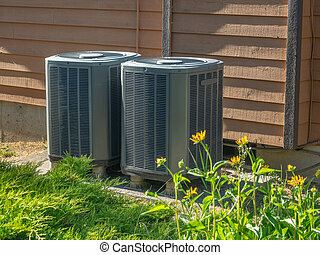 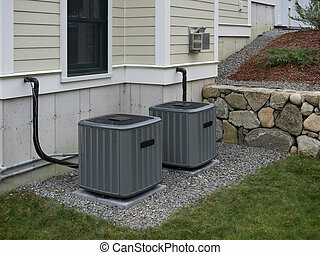 Ac heating units. 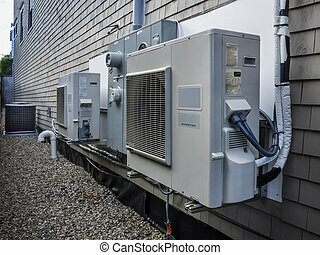 Row of ac/heating units shot from above. 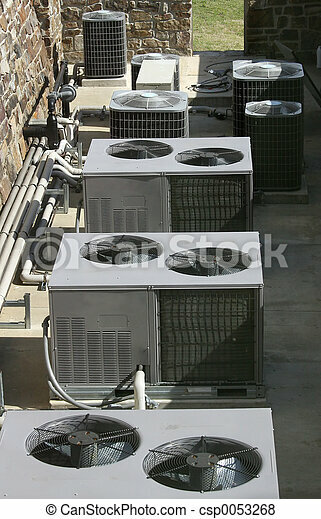 Row of AC/heating units shot from above.